A foundation of primo moisture-wicking tech for everyday comfort. Great for working out, hanging out, sleeping, layering, and more. 10 brand new Shirts, all easy care and machine-washable. Made to strict Czech military specs. 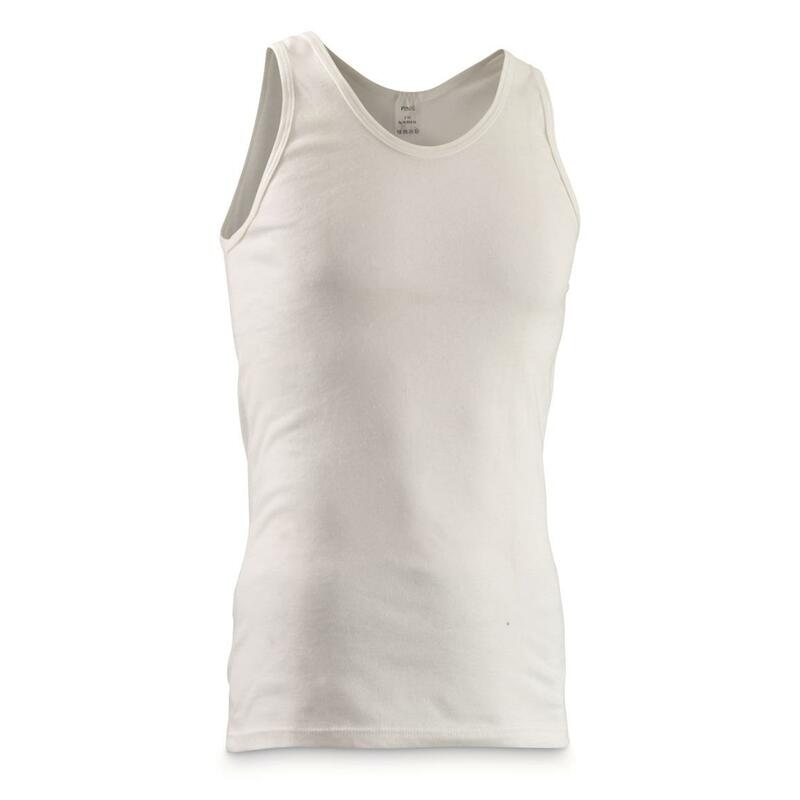 Czech Military Surplus Tank Top Shirts, 10 pack, New is rated 4.3 out of 5 by 27. Rated 5 out of 5 by Sandy from Example: Great Price! Soft, heavy weight, and comfortable. 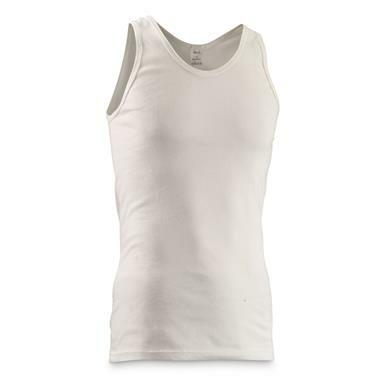 I am using for undershirts, but could be worn on the outside. Rated 5 out of 5 by TomServo5 from Great value for price I love these shirts! Two different styles were included but they were all XL as ordered. I ordered big in case they shrink, but I think they are used. There is some discoloration on a few of them, but who cares? These are undershirts. Material is thin and soft, I'm happy with the purchase! Rated 3 out of 5 by Richie 8 from Many different sizes. Of the ten (10) tank Tops received only four (4) were the XL the other six (6) were small to medium size and the picture used in the ad was not what I received.Mystraps were thin not like the one shown and the neck collar is different ,the material is thin .We will keep the four and give away the six and see how they work out. Rated 4 out of 5 by Nettie from I received 10 shirts. 1 was a little thicker, had a different weave and was a slightly different cut than the others. I preferred the one shirt over the other nine. The other nine were okay considering the price but they were more like Men's tank top T-shirts and really thin. They would better worn under another shirt but could be worn alone. Rated 5 out of 5 by Colorado Joe from Great shirts for the price A great underlayer shirt, good quality cloth, lightweight, loose fit. Rated 5 out of 5 by sirguy104 from Good quality. Great price for the quality of these shirts. Rated 5 out of 5 by sirguy104 from Very nice cotton shirts. Great quality. 4 Shirts for 1 low price!